The researchers found that America’s share of the most-cited 10 percent of papers declined from a high of 47 percent in 1982 to a low of 29 percent in 2018. China’s share, meanwhile, has been “rising steeply,” reaching a high of 26.5 percent last year. Oren Etzioni, a professor of computer science and CEO of the Allen Institute, told The Verge that this research “refutes” the stereotype of Chinese contribution to AI as incremental. You know, when we constantly think about reducing government, people often don’t think about the consequences of these actions. This is one of them. Now you can make an argument about spending and other aspects but the truth is very simple: NIH, NSF, most government agencies are underfunded and we can’t trust the private sector to truly do anything innovative that does not produce an ROI, which is what science, humanities, etc. research require. 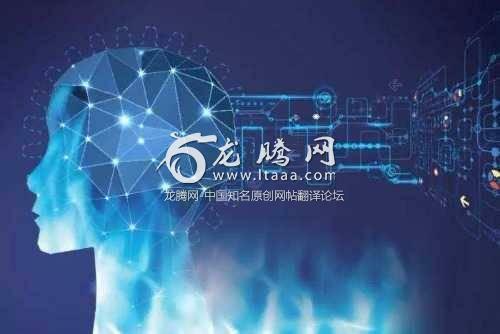 n terms of sheer volume of AI papers published each year, China surpassed America back in 2006, but critics have pointed out that quantity does not necessarily equal quality. A Netflix funded movie did win an Oscar this year… If you try enough times, have enough money and are smart enough you’ll succeed in the end.That’s exactly what China is doing now. It's great to see China dominate. The world is rooting for you. The real story here is just how much cash is being invested in AI research. Based on the investments and the fact that we already have a powerful model (Neural Nets and Deep Learning), we're going to have AI at human levelintelligence too quickly. We could reach the peak of the current models by 2024 based on the successes with Deep Mind and other NN's.. Does that mean the Singularity? Probably not. But it does mean those things are not that far off. My guess is that the peak of current Narrow-AI will be an rapid and easy mastery of any narrow study. That is, perfected Narrow-AI will not be generally intelligent, but super intelligent on all narrow tasks. This by itself is a stupidly huge achievement. This means we could make a narrow AI which could out perform all humans at any narrow field. It's funny that we think AI is somehow no good until it reaches AGI. But even a year or two more of work at Googles Deep Mind will start producing some tangible results. This is intelligence we're toying with here. The source of all creation. This is a big deal regardless. whoever does the research, great. Do it, please. This Boeing 737 Max situation is an example of how far AI has to go.